Nuneaton and Atherstone Beekeepers are involved in events in the local area & are available to make presentations to interested groups. We welcome visitors to our meetings – to try before you buy. We have a dynamic membership, of all ages & backgrounds, covering North Warwickshire, Leicestershire, Staffs & Derbyshire. We are always pleased to welcome new members to the branch and pass on our experiences, which are wide and varied. You will usually find an experienced beekeeper to advise you through the adventures of your first season – although you will need to do your own research & information-seeking. Please note that we would advise you to follow a season of beekeeping before embarking upon your own hive(s). As with all volunteer organisations, you will find you are able to support the branch from day one – building frames & maintaining the apiary for instance. Then as your confidence & skills grow, you will be able to be more involved – talking to visitors at Open Days, and, after training, collecting swarms for your own apiary. From April to August, apiary meetings are held fortnightly on Thursday evenings, from 5 to 7:00 pm. Last of the year are Thursday 10th & 24th August 2017. From time to time, we hold weekend clean up sessions at the apiary. These are at our apiary to Dobbies Garden World, Cross Lane Farm, Nuneaton Road, Mancetter Near Atherstone, CV9 1RF. Entrance is via Plantasia. Dobbies staff will control free entrance to our apiary so you need to sign in. Visitors, please call or e-mail the Secretary, John Twidle, 01827 880689 in advance. IMPORTANT PLEASE NOTE: Access will be through “Plantasia” between 5.00 and 5.30 PM, Plantasia closes at 7.30 PM. A number of spare veils etc. are kept on hand so that visitors and potential new members can experience bees ‘up close’ and decide if beekeeping is for you before making an investment in your own protective clothing. You will need your own gloves – Marigolds are just right – and stout, enclosing footwear – many wear wellies. Thickish baggy trousers – not fluffy – that tuck into your wellies are helpful. Please note that there are no toilet facilities at the apiary but toilets are accessible in the nearby Plantasia building. Because we don’t know what the weather/bees will be doing at each meet, we don’t have a set summer programme, but plan to provide opportunities to manipulate bees, mark queens, practice swarm prevention, treat for disease etc. We have a number of working hives & ask learners to work in set groups around a specific hive. In Autumn & Winter, indoor meetings are held on the first Tuesday in the month at 7.00 for 7.30 pm. We meet at Hatters Space, Upper Abbey Street, Nuneaton, CV11 5DN – see http://www.hatters-space.co.uk/. 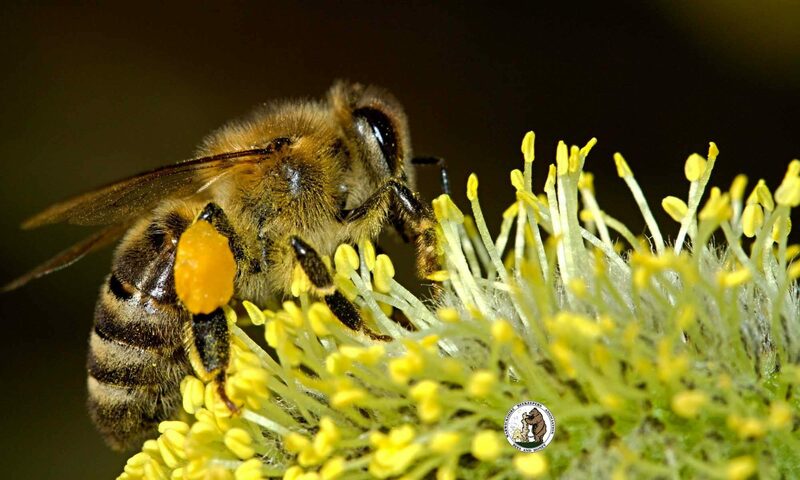 Tuesday April 3rd – Nosema Clinic ” Bring a sample of your bees for testing”. There is generally a programme of bee-keeping & related presentations over autumn & winter and we usually manage to fit in a tea-break (50p) and discussion around personal & branch bee-keeping. Sometimes, we do something practical too, like making frames or wax. Oh, and we always enjoy a cracking social evening before Christmas. Please let me know if you are able to produce materials, deliver courses, be a mentor, or help in any way . In the meantime, please consider joining other branch courses on the WBKA website. At the time of writing, one is about to begin, & you can expect further opportunities over the winter & spring. Also, check out the Start Beekeeping on WBKA web site and on the BBKA web site http://www.bbka.org.uk/learn/. The BBKA book has also been found most useful: http://www.bbka.org.uk/shop/product/bbka-guide-to-beekeeping/. For calculation on setting up costs, the Thornes website, usually advertised in your WB, is an adequate overview.